Having lived in and around Glasgow for the last twenty years, the influence of Charles Rennie Mackintosh on the city and the associated 'Glasgow Style' has infiltrated my consciousness on many levels: from the iconic Glasgow School of Art building itself to the Willow Tea Rooms, House for an Art Lover (where I almost got married), and the many other hidden details and architectural masterpieces across the city, inspired and designed by his hand. At the same time, it never occurred to me to take a tour at the one place he had so much influence then as now: the art school itself. Since the tragic fire in 2014, the building has been closed to the public and today stands swathed in scaffolding, yet even that has clear geometric structure and lines; I think Mackintosh would have approved (and viewing it in black and white certainly helps!). 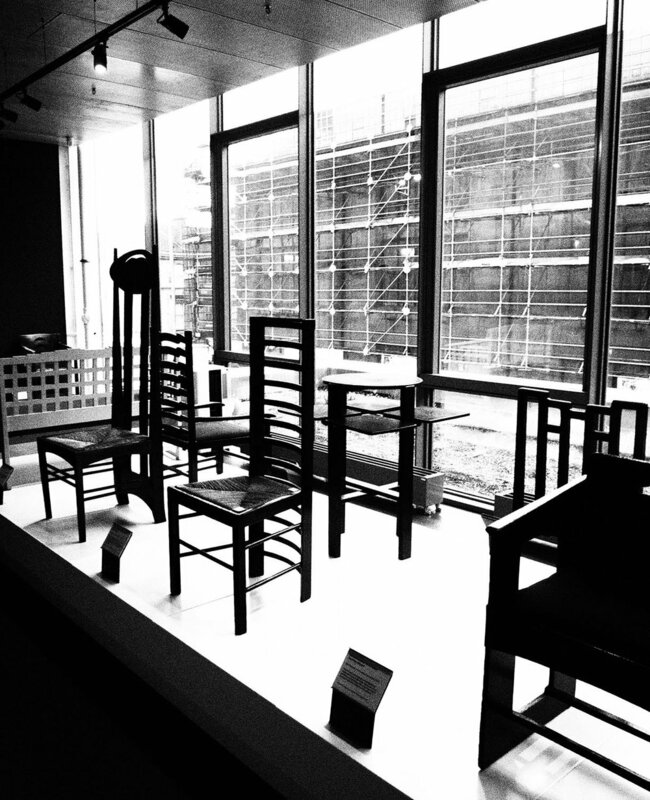 I've now taken the 45 minute tour which encompasses the Mackintosh influence on Glasgow: how he started out, how he came to design the Glasgow School of Art, the influences behind the new purpose-built building, Mackintosh's foreshadowing of the Art Deco movement, and the private furniture collection - held in the new building across from the original art school - until the restoration work on the original building is completed in 2019. In lieu of the real thing, a scale model is the focus of the first portion of the tour; the hidden details exposed, explored and brought to life by a knowledgeable and enthusiastic guide. I learnt plenty that I didn't know about this iconic architect and designer, not least that he had a penchant for Japanese art and styles which he managed to include in clever ways in the design of the art school. 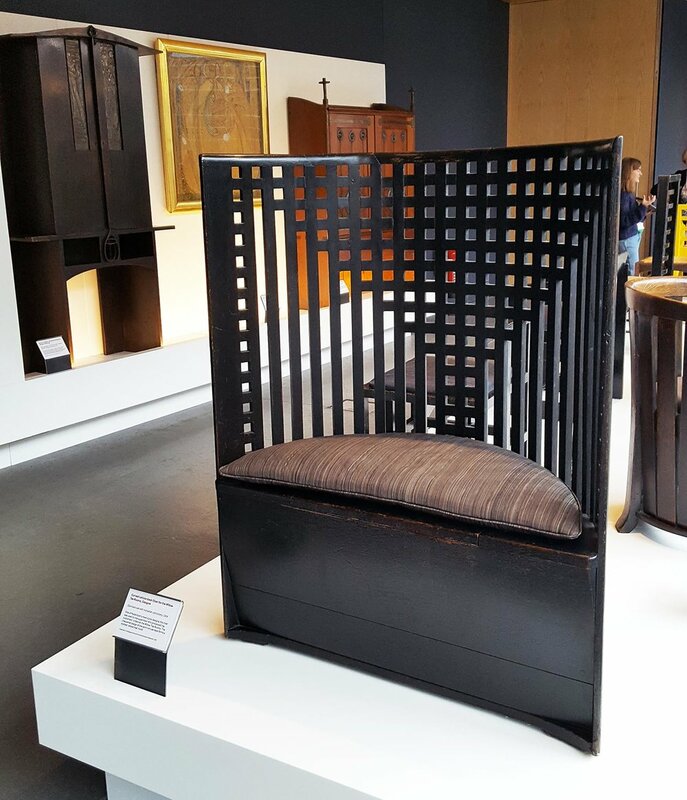 This style was admired by Mackintosh because of its restraint and economy of means rather than ostentatious accumulation; its simple forms and natural materials rather than elaboration and artifice; the use of texture and light and shadow rather than pattern and ornament. In the Japanese arts, furniture and design focused on the quality of the space, which was meant to evoke a calming and organic feeling to the interior." 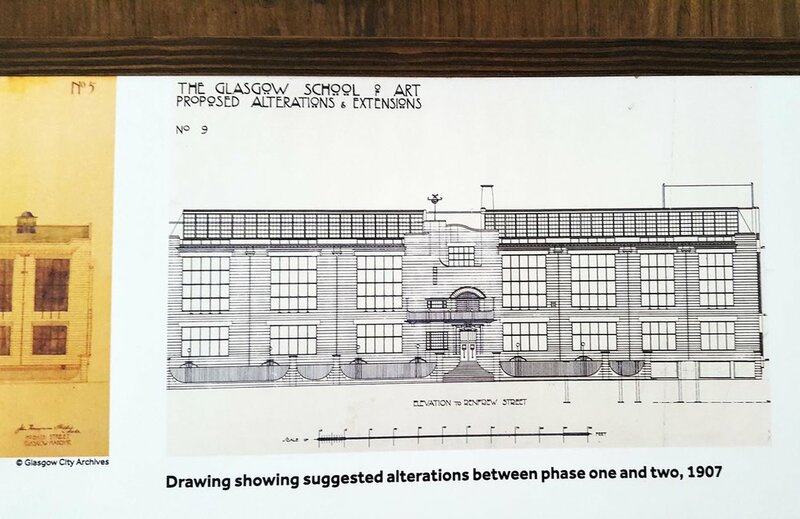 So much thought went into his work, even down to details that remained concealed for over a century until the fire and subsequent renovations brought them to light (light of course being very much the operative word in much of Mackintosh's work). Deliberate patterning in the brick lay hidden behind wooden panels from the outset, and the second floor of the library was found not to be supported by the structural beams running through the building as previously thought, but suspended from above. I think the answer is - he would have moved on, re-imagining his style and moving ever-forward. That's what creative people do. I learnt that the building is very much influenced by the traditional, Scottish Baronial style, featuring arrowslit windows more commonly associated with castles and similarly, dovecotes on the east elevation. 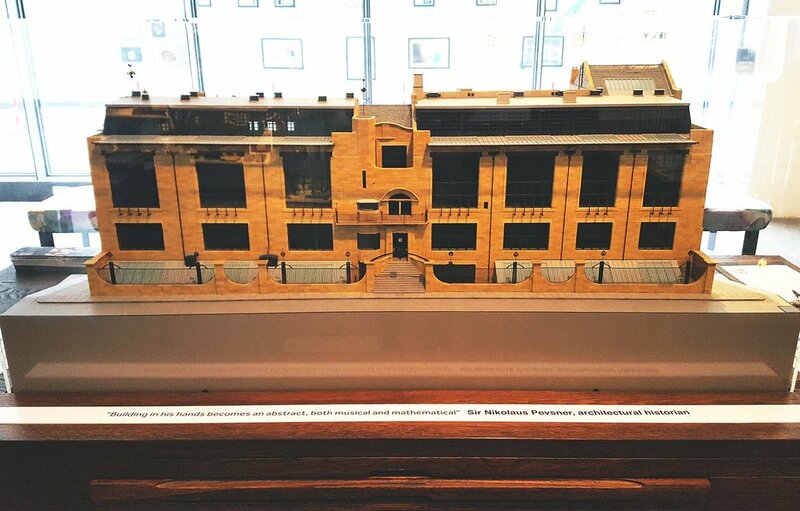 These details described as 'poetry' on the building hark to many of Mackintosh's influences at the time, which as well as Roman and Greek architectural styles, would have included Scottish castles, churches, and the buildings of the Industrial Revolution. But he wasn't concerned with symmetry - quite the opposite - preferring asymmetry instead. The front elevation (viewed from Renfrew Street) clearly shows an arrangement of six windows to the left of the main entrance, eight on the right. And with the eight-year gap between the start and finish of the building (while the necessary funds were sought to finish the project), he changed some of the details, developing his Art Deco aesthetic and foreshadowing the movement by over a decade. Another Baronial feature is the inclusion of the Glasgow crest in two finials at the top of the building. Telling of the 'miracles of St Mungo' - the bird, the tree, the fish and the bell - these tie the building to Glasgow as a city just as a family crest would do with a castle. The idea was that the 'Master' clock was downstairs in the office and would be the only clock that 'knew' the exact time, while each subsequent 'slave' clock would be connected to it throughout the building, ensuring that they all ran in sync telling the same time. Glasgow School of Art was also one of the first buildings in the city to have electricity. Ironically however, it was pointed out on the tour that currently, while in situ in the temporary space, the clocks are out of sync. I wondered if the 'ghost of Mackintosh' would find this to be an amusing anomaly! Other treasures in the private furniture collection include a number of chairs, and I particularly liked this original Curved Lattice-back chair (1904), designed for the Willow Tea Rooms. Used by the supervisor who processed the orders (apparently by method of coloured marbles! ), the curved back and chequered design form a stylised 'willow tree' motif. Another snippet I hadn't realised is that 'Sauchiehall' translates as 'alley of willows', which is how the once-luxury Sauchiehall Street that runs behind the art school, got its name. Meanwhile, this striking yellow and purple piece, described as a 'Settle for the Dug-Out' (1917), was used in the staircase vestibule 'dug-out' - a dark space with no natural light - also in the Willow Tea Rooms. Again it features simple, bold geometric shapes, though the colour would have also been considered 'bold' for the time. Of course the symbol of the rose is omnipresent too, including in the window details. Angled metal 'elbows' protrude from the upper casements featuring black balls of differing sizes and details, which when you peer along them become blossoming, abstract roses. 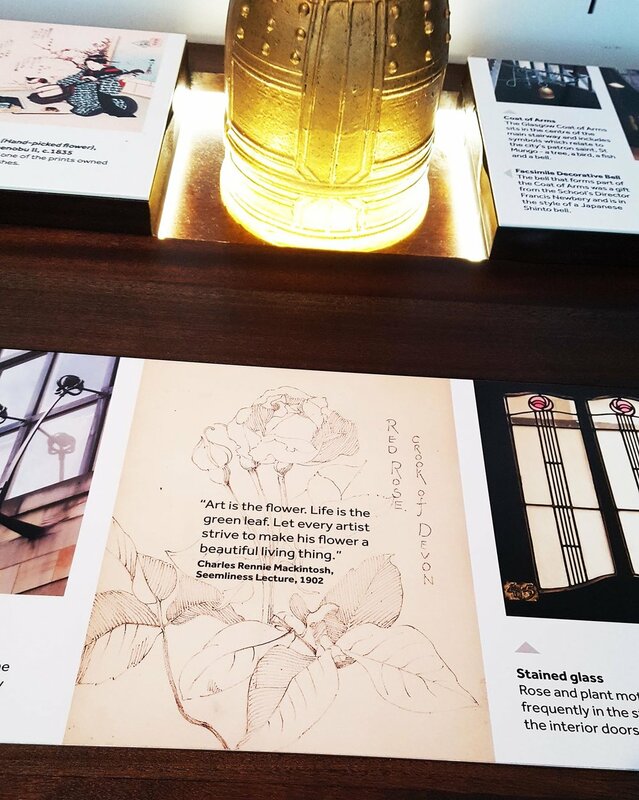 Mackintosh believed the rose to be the ultimate metaphor for art and growth, so it's fitting it should feature so prominently. Although the tour lasted only 45 minutes, I felt like I learnt a lot and can't wait to go back and revisit the new (old) building once it is restored to glory in 2019. Excellent praise indeed for a man who at 28, and not yet qualified as an architect but working as an apprentice, won the competition to design this now-iconic building. An inspiring and motivational message to 'jump before you're ready' if ever there was one. 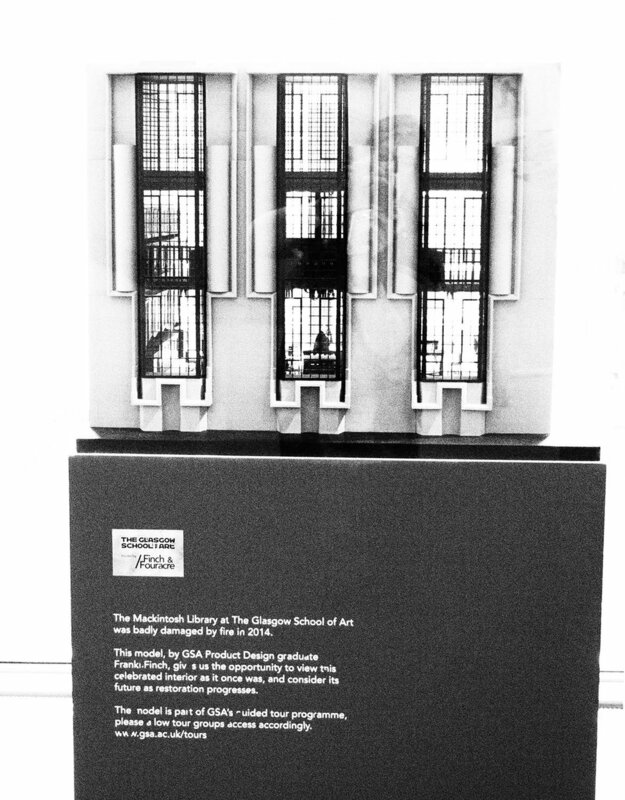 Find out about/book the GSA Mackintosh tour. And Happy 150th Birthday Charles! NB. This is a sponsored post, however all views are my own. Thank you to CitizenM for tickets. I haven't been around these parts much of late, but recently I got to see the original 'Monarch of the Glen' oil painting at Paisley Museum and I thought I'd share him here. Painted by Sir Edward Henry Landseer circa 1851, our monarch is vital and arresting; not one of those disappointingly tiny real-life paintings like the Mona Lisa. I mean yes she's impressive too of course, but it's nice to be able to take a step back and really see the image clearly, drink it in like it deserves and then step in closer to see the brush work and the cracks in the oil paint that mark the passage of time. You can almost hear the rasp of his breath; smell the musky scent of his perspiration. Sunlight catches the tips of his nostrils, the sheen of his flank and the tips of his antlers. He's a fine beast, proud of his reign over 'his' glen. Elusive and alert, you'd never catch him in the same place twice. Mountains and hills and bracken and woodland are his domain, come spring or snow. He's the boss of them all and nothing else matters but the next meal and evading predators. Made famous through his connection with Dewar's whisky (and then the TV series 'Monarch of the Glen'), this royal heir to the Scottish Highlands is a symbol of strength and virility. I love the purple hue of the mountain backdrop too - Scotch mist at its best, hinting at crisp spring mornings or autumn afternoons with scenic views rippling into the distance. Art inspired by local school groups was on display around the gallery, featuring their own interpretations of the stag. I particularly loved the poetry inspired by the painting, also by local school children. Art inspires poetry and poetry inspires art. I love how so many genres of creative expression are linked and flow into each other seamlessly. 'The Monarch of the Glen' is particularly inspiring with just a central focal point of the stag. Something I need to remind myself often: less is more but in this case, it isn't less at all. The best bit? I got him all to myself. Just me and the museum attendant keeping watch. Oh, and my newborn baby boy. He was asleep in his car seat, but one day I'll tell him all about The Monarch of the Glen. Catch him quick - on until 11th March 2018 at Paisley Museum before he continues his royal tour. It was such a gorgeous day, the light so perfect and the heat waning slightly by the time I arrived at the Hemingway Home & Museum in Key West. Visiting Florida as part of a family holiday, this adventure to the southern-most tip of America felt very special to me, having accidentally followed Hemingway around the world (Paris, Cuba, Italy, Spain...) He certainly had the right idea about how to enjoy life. Luckily, it was well worth the wait. And the drive. The drive was actually beautiful, the ocean on each side and the roads very quiet. What more could you ask for? Hemingway built the wall to keep out the 'riff raff' of tourists after his home was referred to in a tourist guide of the day, not long after he moved in. Ironically, tourists began to flock in even higher numbers to get their photograph taken in front of the wall. 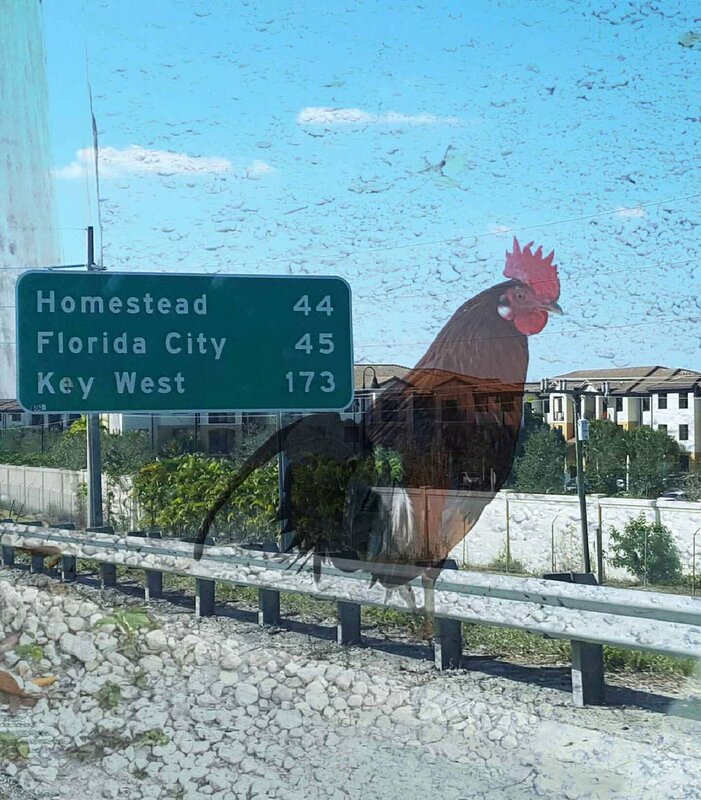 Key West has at least doubled in size since Hemingway's day, and the house originally boasted sea views. There's even a lighthouse next door. But the first thing you notice - aside from the old colonial beauty and the deep hues of mustard and green amidst the palms - is the abundance of cats. I think this tabby above is one of the six-toed tribe, likely to be a descendant of Hemingway's cat 'Snow White' who was gifted to him by a ship's captain. 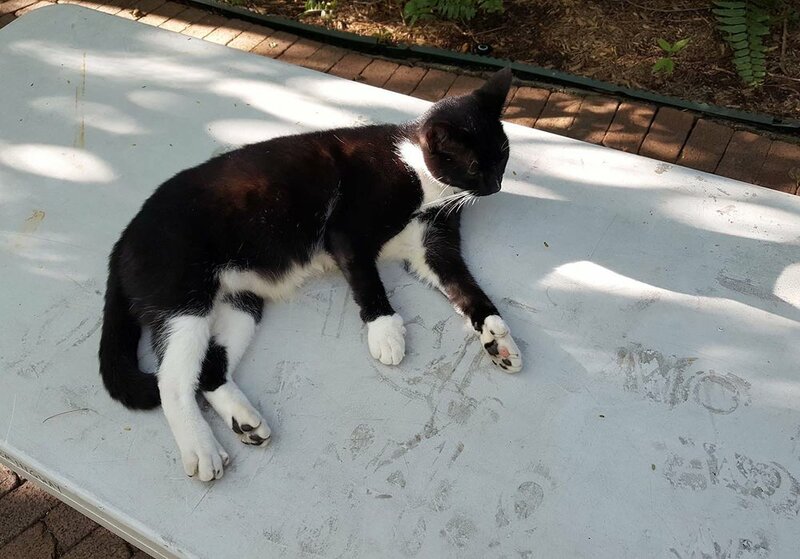 All the cats who live at the house apparently carry this 'polydactyl' gene, so even if they don't sport six toes themselves, their off-spring just might. I thought it a nice touch they're all named after famous writers, artists, musicians and stars of the stage; a tradition started by Hemingway (now with a few wives in the mix! ), and each name is then scribed into the cement/brick in a little area that is clearly the 'cat cemetery' when the inevitable day comes around ('Death in the Afternoon', perhaps?). Sorry! Even the windows had net curtains featuring cats - would they have been Hemingway's personal choice I wonder? Inside, the house was set out with much of the original furniture, artifacts and antiques collected by Hemingway, but the most fascinating to me were bookshelves laden with his personal collection - the books he had physically touched and read - as well as memorabilia from the film versions of many of his books. The colours and shapes in details such as the tiles on the bathroom floor were worth much more than a passing glance, and it became clear that nowhere is off-limits to the cats. "This boat is a marvel for fishing. Takes any sea comfortably and can turn on her tail to chase a fish." Outside, second wife Pauline's highly controversial swimming pool replaced Hemingway's beloved boxing ring. 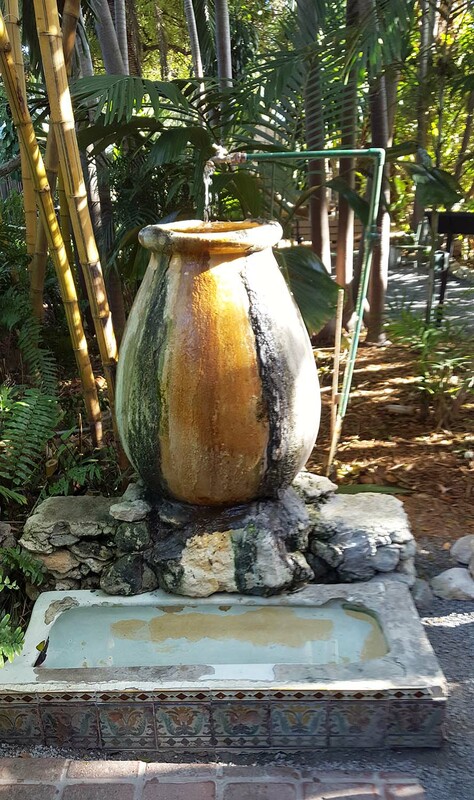 It was the first and only pool in Key West by years, and ran well over budget, relying on manual labour to dig out the concrete because the use of dynamite was ruled out by the city. 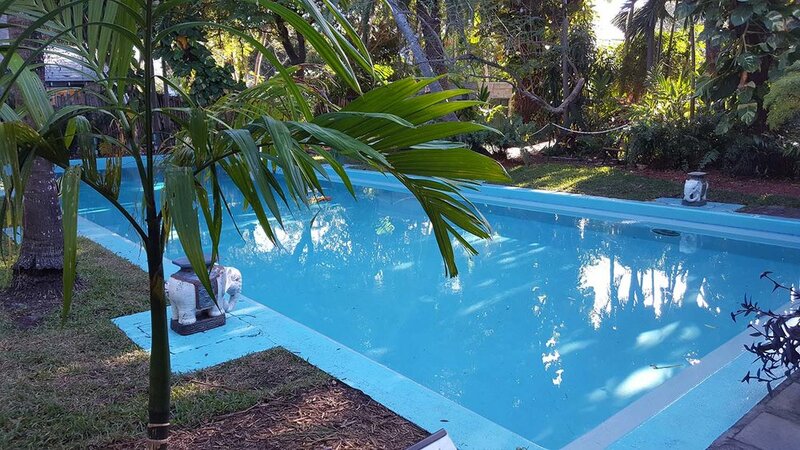 It was originally a saltwater pool as there was no running water in Key West until 1944. But it is a beauty - over 8ft deep. How truly decadent! I love the story about Hemingway's last pennywhich is embedded in the concrete in front of the pool. Or maybe that's just a gimmick for tourists? I snapped it anyway. 'I'll get rid of mine when you get rid of yours'. Instead she added decorative tiles and an urn. It all worked out OK. She made the best of it. And the cats are apparently too clever to consider drinking from the 'trough'. Finally, stairs lead up to a separate building, a kind of loft which at one point was joined to the house by a little tree-top walkway. 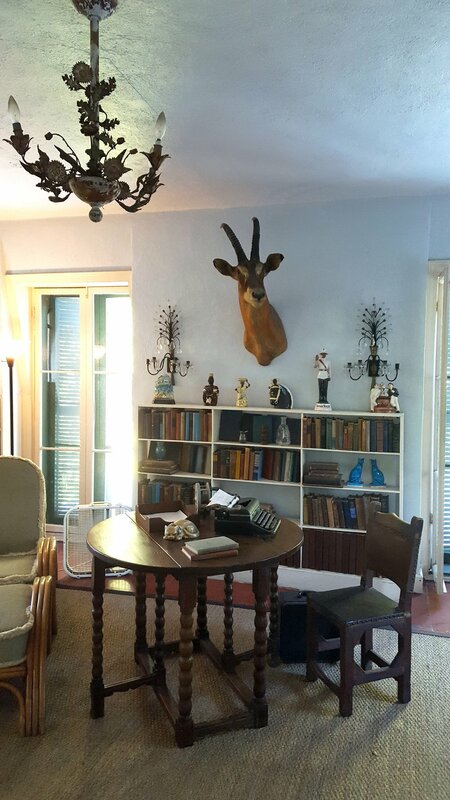 It served as Hemingway's office/study/writing room and I'm not sure if it was set up just how he left it - especially given the history of the house being sold on before becoming a museum - but there was a lovely sense of solicitous solitude there that made me feel close to the great man himself. It made me want to rush home and read more of his books as well as get more prolific with writing my own. And I say that having never really gelled with his writing style. I struggled with A Moveable Feast. I couldn't wait to read A Farewell to Arms, then didn't. I think there's just something special and charismatic about his life and the way he lived, battling many demons while traversing the world, like he was trying to escape himself in his pursuits. The sea, his boat. Living in remote outcrops: Cuba, Key West. Or maybe I'm just a sentimental writer trying to capture an ounce of inspiration from this big bold bear of a man? But what a special place (and places) he chose to live. I would definitely return to Florida, and to the Keys. Key West had a lot more going for it than simply the literary connections, but alas I had only scheduled one day in which to see it all. Before traversing the slim road back towards Miami, I did manage a quick look at the Tennessee Williams exhibition. There was a lot to see/read and not much time, though I was able to view a collection of his first editions, albeit through display glass. "There is no friend as loyal as a book"
Apart from maybe a cat - or is that just an oxymoron? 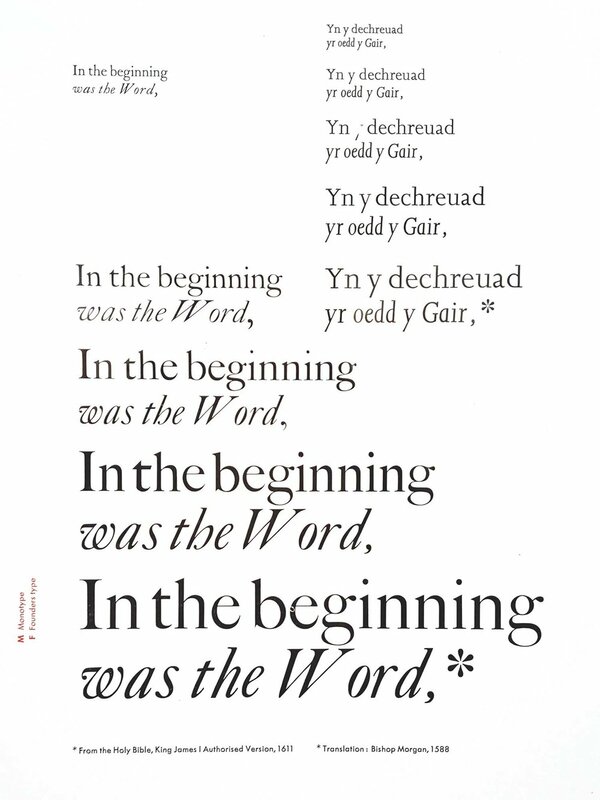 Last week I discovered Alan Kitching's 'A Life in Letterpress' at the Lighthouse, Glasgow. 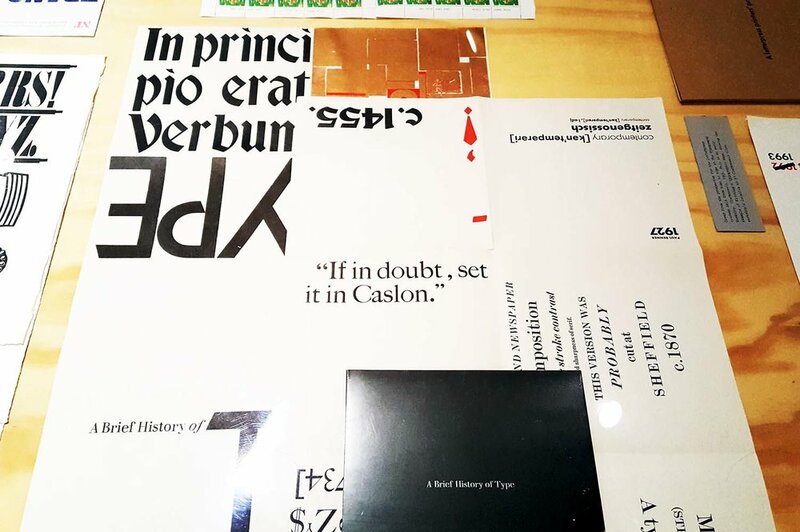 Alan Kitching was supposed to be obsolete. The new world is one of microchips and screens. Anyone can write and typeset. The most basic word processing software will offer a hundred fonts at the swish of a mouse. Hand printing was for museums, wooden type for antique shops. When others sold off their font collections, he bought them. And then bought more. He mixed colour and fonts to dramatic effect. He invested in the written word with visual power. Alan Kitching has become rather fashionable and in demand. Well I love letters - they are the building blocks of words after all - and the individuality of letterpress-printing just feels so beautifully idiosyncratic and original in the modern world. I can see why "in a world of uniformity Alan Kitching's work stands out". An impressive array of styles, colour and design. I'd love to try letterpress myself. There were also some very nice letterpress books accompanying the exhibition and a free newspaper-style handout. 'A Life in Letterpress' is on until 5th March 2017 in Glasgow. NB: The lighting and use of glass cases in the exhibition made it difficult to get better photographs. This is not a sponsored post. It's always good to 'Take Stock' of where you are (in life; with yourself), and the start of a new year feels particularly apt. This is the first year I haven't written lengthy lists of plans, ideas, dare I say it - resolutions. I'm OK with that. Instead I've spent the first days of 2017 just thinking, being, breathing. Turning things over in my mind and taking my time before rushing into anything too deep and meaningful; catching up on reading and creative work with minimal digital distraction. It felt good. Hibernation could be my 'thing'. A walk along the beach at Cullen Bay in the North of Scotland was a beautiful, wild way to welcome in the year, the sea restless with energy and alive with mystery. Making: Cullen Skink. I had to really, having so recently visited Cullen and tasting the award-winning version, circa 2015. Drinking: Red Berry Suki Tea. It's a deep rich red jewel in a cup. Reading: The Outrun, by Amy Liptrot. It's wild and beautiful and it makes me want to visit Orkney (again), and some of the tiny islands off it, especially Papay. Looking: forward to our family holiday in Florida, starting next week. The Everglades. The Keys. Hemingway's house. Watching: The OA - highly unusual and gripping. GIRLS, Nashville... Smelling: peppermint and eucalyptus oils in my bath. The perfect (indulgent) winter-morning ritual. Loving: that people are loving THE WORD, my fledgling fortnightly newsletter. Thank you to everyone who's contacted me to let me know how much they're enjoying it, and who've shared, tweeted and encouraged me - your support means everything. Noticing: sunsets like never before. They creep up early in winter and feel like the most beautiful of the year. Listening: to Angel Olsen. Over and over. Especially this and this and this and this. (Which brings me to my new favourite thing to say when I forget what I'm trying to say: "the thing with the thing with the thing. You know the thing?" No, no-one else does either... Thinking: about rainbows and phrases and new words and word associations. Rainbow-physics. Never-night. Svengali. Leitmotif. Gesamtkunstwerk. Opening: new books and journals that I received over Christmas. Italian leather with lush, cream pages from my husband; a coveted Mucha scrapbook from my Mum. Feeling: optimistic and curious about 2017 and all it promises. I asked friends and family about their 'resolutions', and was surprised when mostly they told me of things they're not going to do, something they 'need' to stop or cut out of their life. I know that's often the way, but instead I'd like to focus on the all the amazing things I am going to do, plan to do, will do, and perhaps some happy surprises that 2017 will have in store. It just feels better to think like that, doesn't it? This time last week I was deeply immersed in a poetry and book art retreat at the Ted Hughes Arvon Centre, Lumb Bank in West Yorkshire. It's a place I've longed to visit ever since I first heard about it, and now finally, I have. On arrival, the house was steeped in autumn sunshine; the leaves and flowers in the garden offering up their secrets and magic. I couldn't stop taking photographs. What I didn't anticipate was the opportunity to visit Sylvia Plath's grave. I had no idea she was buried in the small village of Heptonstall, about 10 minutes walk from Lumb Bank. On my first free afternoon I slipped away to find her. I passed the house that belonged to Ted's parents, taking in the burnt-away colours of the trees and leaves. It was so quiet and peaceful, the narrow streets in the village quaintly cobbled. There were so many gorgeous leaves and I wanted to collect then all, but I allowed myself only a few. Sylvia didn't ever live in the house at Lumb Bank, the house that is now the Arvon Centre, but it feels like her fate was being metered out when she first lived up the hill with Ted's parents; visiting as a willing lamb, not knowing she would one day return and never leave. I had been allocated a room in 'the barn', the solid lintel of the window framing my view of the garden, and Ted's image - his eyes, his ghost - seeming to follow me everywhere; heavy with history and the tragedy of Sylvia taking her own life. I couldn't stop thinking of them together: writing, talking, arguing. I also thought of Assia. Feminists have been 'blamed' for defacing Sylvia's headstone on multiple occasions, scratching away the lead-lettering of 'Hughes' to avoid it tainting her name any further, but I don't think Ted can be held solely to blame for what happened. I don't blame the feminists either (and count myself a feminist). 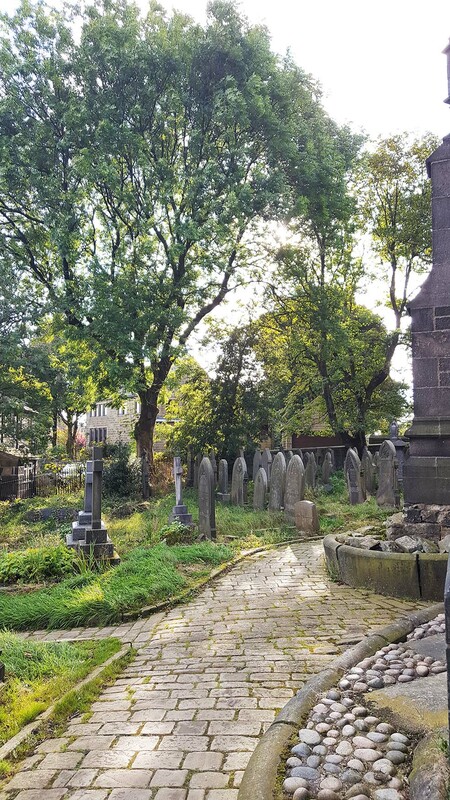 While searching for Sylvia's grave, I first walked around the older part of the graveyard. It felt quietly alive with the shadows of afternoon and not for the first time I felt like I was being watched by unseen eyes. The rustle of fallen leaves on the path did nothing to assuage that feeling. I found Sylvia eventually, in the newer part of the graveyard. The golden lotus can be planted." "A little rosebush grows on it, and some modest wreaths and cut flowers lie about. Crows and magpies fly above." I felt so close to her as I stood there, the memory of reading her journals and her poetry flooding my mind with the time in my life when I became obsessed with her work, her world, as though she was a dear friend I'd simply lost touch with over the years. 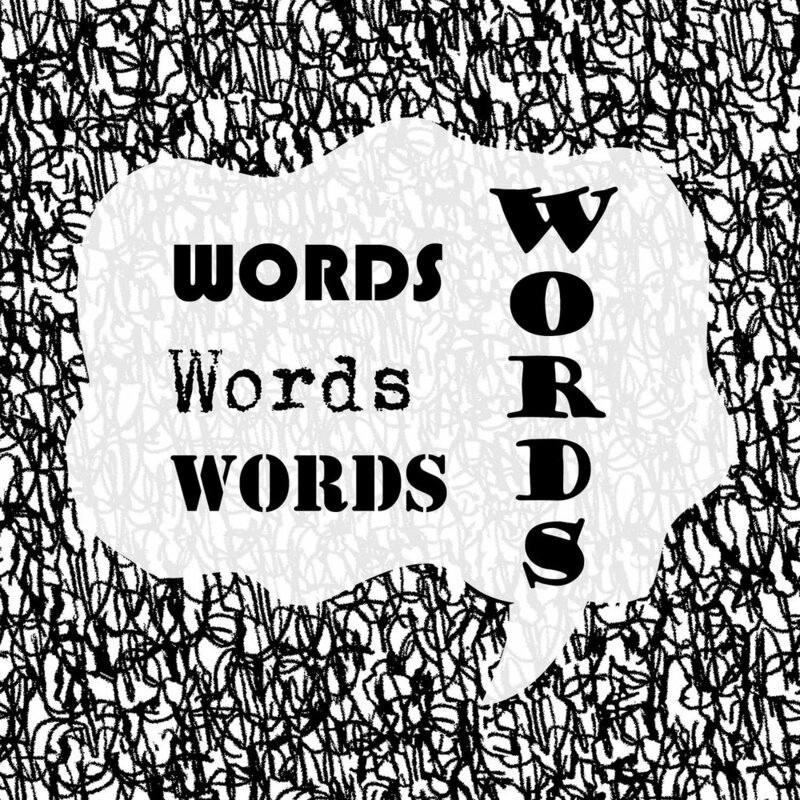 Words can do that. Especially words written in a diary or journal. 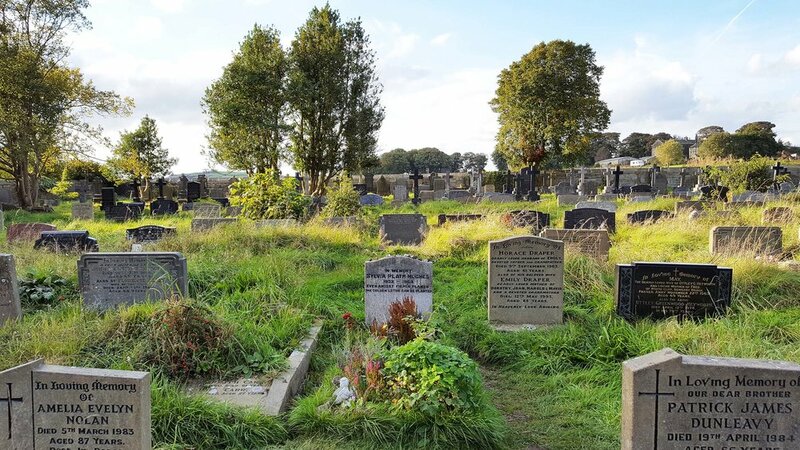 I had imagined her grave being better kept with a big memorial, the grass neat and well-tended, though perhaps it's fitting this is not the case. I liked that people had left notes and pens and coins, and wanted to leave a pen but it didn't seem entirely right - and the pen I had with me wasn't particularly special. Instead I wrote a note, folding it tightly and burying it in the earth at the head of Sylvia's 'grave-garden'. I hope my words echo down to her, somehow. The angel/cherub was a nice touch, and I recognised heather, lavender, primrose and rose amongst other offerings - a respite from the weeds - yet still I couldn't help but imagine Sylvia hiding under the floorboards that time, the desire that burnt more brightly than any other, finally, fatefully achieved in the winter of 1963. What would she choose if she had her time again? It makes me so sad to think that a woman so alive with thoughts and words and emotion can be so-long buried and alone, no family to visit her grave. I know so many people do and will end up this way, but that only compounds the sadness. I hope she felt at least a moment of freedom. I'm lucky to have visited Paris three times, and each time has revealed a new layer of beauty, culture and inspiration. A week on from the attacks in Paris, I wanted to revisit my favourite Parisian places and the memories of it that I cherish: to (and for) Paris with love. For romance, for writing, reading, life, living, being in love, thinking about love, dreaming of love, experiencing everything in exaggerated technicolour (tricolore). The sting of cold cheeks and the emotion of the city, absorbing it all: faces, places, spaces, the dark streets laced with wet streaks of rain and snow, freezing, freezing into the ground and preserving memories in footsteps and in photographs. The Seine and the lights of the Eiffel Tower and a wander through the Jardin des Tuileries. I remember wandering around and every few steps I had to stop and take another photograph to capture the moment; so elusive yet vivid, and filtered through my own romantic perceptions. On my third visit in 2013 I wanted to experience my own version of 'literary Paris', following in the footsteps of greats such as Hemingway, Joyce, Scott, Camus and Oscar Wilde. On my 32nd birthday I had lunch in Les Deux Magots. 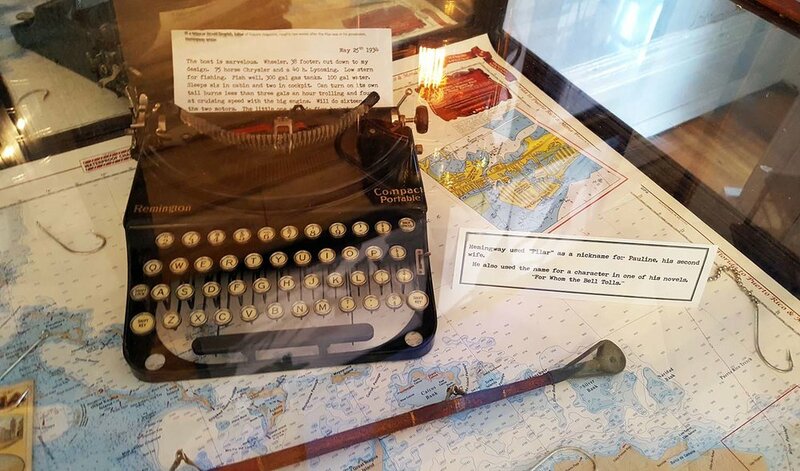 While I was there I thought of Hemingway and wondered whether he would still pop in to write if he was alive today? I hadn't thought to look up the address of the Shakespeare & Company bookshop until the morning I was leaving Paris, but it turned out to be just round the corner from my hotel. I think I could have seen it from one of the windows in my room if I looked hard enough. I should have looked. Instead, I had maybe half an hour to browse the literary gems in what I consider now as my favourite bookshop. I knew that one of my friends had hidden a little note in one of the books at the back of the shop, but I didn't look for it; it wasn't for me to find after all. Instead I snapped a few pictures of the poetry section using my phone, knowing it was forbidden but unable to resist (I bought the book about the bookshop, so that helped to salve my conscience). Upstairs I adored the teeny writing cupboard complete with typewriter, and the children's books and the reading areas and the old creaky floorboards where the famed writers of yore walked before me. Windows opened out onto a literary reading nook, complete with plastic dinosaurs and all sorts of funny objects adding to the aura of magic. I had brought George Orwell's Down and Out in Paris and London to read while I was in Paris, but in Shakespeare & Co I wanted to read everything. I bought postcards and left change in the 'well' for starving writers. Everything about the place was wondrous. Not far away, in the Cimetière du Montparnasse, I searched for Simone de Beauvoir and Jean Paul Sartre. The graveyard was serene and beautiful, unlike Cimetière du Père-Lachaise, which I had visited previously to see the graves of Edith Piaf, Oscar Wilde and Jim Morrison, (and to satisfy myself that I had been to all the places referenced in Carlos Ruiz Zafon's The Shadow of the Wind). It was a place I would have liked to spend a bit more time. And then there were the after-dark shots. I think it is one of my favourites because it reminds me of the glamour of this City of Light, even in the rain. And the unexpected moments of wonder that happen when you aren't really looking for them. A distorted blur of Notre Dame, the magic caught in that second that I pressed the button and moved, because I couldn't stay still - spinning, spinning - with happiness and shivering from the cold and the champagne and being right there; midnight in Paris. Paris will always be a multicultural montage; a cosmopolitan city, fizzy with adventure. I look forward to returning for a fourth visit (and a fifth, and a sixth...) and delving further into this wonderful city that will not be cowed into submission, into fear, into anything other than showcasing its magic, wonder and strength in the shining bright white of the Champs-Élysées and the proud tricolore of the French flag, echoed around the world. I've been feeling very poetic since I returned from Lake Como, but I'm using up my reservoir of words on the first draft of my novel. Then I remembered these dreamy, misty shots, taken from the famous Bernina Express that wends its way through the Swiss Alps from Tirano, Italy to St Moritz and beyond; its huge glass windows perfect for capturing the magnificent views. You don't always need words to experience poetry, and for me, these images conjure a sense of 'poetry in motion', complete with their reflections and blurring due to the movement of the train. The temperature dropped around 10 degrees once we left Italy and the atmospheric mists clinging to each other, hovering like mountain ghosts, only added to the experience putting me in mind of Scotland in the colder months. I can't pretend any longer that autumn isn't creeping into the early mornings and late nights (here in the UK at least). It is a season I love but perhaps am not ready for this year? Is this the Palü Glacier? I think it is but can't be sure. So today my two worlds collide: my holiday experience into a magical and misty landscape that seemed so familiar (reflecting back to me the mountains of Scotland), but also not familiar at all; new and different and exciting. And my home experience of the familiar cold splash of an autumnal morning, frost on the windows and mist in the hills. Life is beautiful and nature rages on. Last week I was in Italy and it was more than Bellissimo. I stayed in Cadenabbia, Lake Como, but ventured far and wide taking trips to St Moritz and Lake Lugano in Switzerland, and to Stresa on Lake Maggiore. The streets were picturesque with beautiful gardens and walkways, wide roads, tall trees providing shade and a breath-taking view to the lake at all points (with gelaterias in abundance - my favourite flavours were limone e pesca). I've accidentally followed Hemingway around the world: to Paris, Cuba, Spain - and now to the beautiful town of Stresa, Italy where he recovered from war injuries at the Grand Hôtel des Îles Borromées. I'm up here in Stresa, a little resort on Lake Maggiore. One of the most beautiful Italian lakes. I love this photo and the way the sun bathes the welcoming cherub in an almost holy light; though the light everywhere was so vibrant and intoxicating. I've heard that some of the scenes from A Farewell to Arms were set/based in the Grand Hôtel des Îles Borromées, and one scene in particular describes taking a fishing boat over the lake to Isola dei Pescatori. It is in the evenings, when silence falls and the lights are reflected in the waters of the lake, that the island is at its most evocative..."
I was immediately immersed in the experience of following in Hemingway's footsteps, so of course I had to visit the hotel, see inside, take in the luxurious, opulent surroundings. Here's my souvenir - a beautifully monogrammed paper coaster. It's not enough, can never be enough, but for now it will have to sate me. So often words are not enough, and that is true of my experiences in Lake Como. Taking in the view across the lake - the sun ricocheting off the water by day and the bright lights of Bellagio twinkling diamonds from the other side by night - was breath-taking, magical, surreal. I had no idea that the Villa Balbianello had featured in the James Bond film 'Casino Royale', until my visit last week. The villa poses as the hospital where Daniel Craig recuperates, viewed in a wheelchair on the sun terrace. Magnificent gardens lay behind the villa and I took many photos as our water taxi jetted off over the lake to Bellagio. A stunning experience with film-star connotations. Water taxis created currents in the water and the salty-brine smell like the sea mingled with sun cream and the heat and the sage that grew throughout the carefully maintained gardens. It was more than blissful watching the ripples and undulations from the steps of the private jetty; splashes of red in the form of flowers only heightening the sense of Mediterranean glamour. Tiny lizards darted freely and hydrangeas bloomed in burnt out pinks and blues. The morning sun on the lake, viewed from one of the balcony windows inside Villa Balbianello. A pigeon that appeared very content to sit and stare at the Lake too, snapped while waiting for the ferry back to Cadenabbia from Bellagio. He didn't move for at least twenty minutes! Views over Lake Como from the hotel; an idyllic space to read and relax and drink coffee or cocktails as the sun disappeared behind the mountains. The fact that it was not my 'every day' view made it that much sweeter - bittersweet - my experience finite; heightened by the tension and butterflies of life so fleeting. I can't wait to return. I feel I could qualify for a job with Visit Scotland by proxy as I never tire of capturing the beauty of the Scottish landscape around me; urban and rural, land and sea. On a trip to Arran last week - commencing on the hottest day of the year - I snap, snap, snapped away with my phone and camera, maximising the photo-gold that I was able to capture. Upon checking my memory card, I discovered I'd taken 437 photographs in 5 days. My favourite photographs were taken from the ferry between Ardrossan and Arran, outwards in sunshine and homewards in the rain. Then the misty hillside of Holy Isle in all weather fronts, and an abundance of deep pink foxgloves which seemed to be the official floral of the island. Taking in the lush and scenic views, I reflected again on the loss of Game of Thrones being filmed in Scotland. It would have been tourism gold; almost completely negating the frequency of year-round rain (I promise I don't actually work for Visit Scotland! ), but then the flood of tourists would have spoilt the wild and deserted views that I was so eager to photograph. Maybe. But just imagine the wildlings lurking round the foothills of Goatfell? I know! We drove half way round Arran through Lamlash and Whiting Bay and Blackwaterfoot and Corrie. Even the names sound relatively exotic. Brodick Castle and the surrounding gardens were worth the visit, especially the trek to the Bavarian Summerhouse, with its ceiling and walls decorated in pine cones, all collected from the surrounding trees and intact since being built (on the ceiling at least). How amazing is that? An eco-outbuilding ahead of its time. There was an Ice House too, but all its charm was hidden deep down inside. I feel lucky to live somewhere so beautiful and so varied in its seasons and landscapes, amidst the mountains and the scenery and the colours and the clouds and the wide open spaces. And so close to the Isle of Arran. It rained as we left but I wasn't sad. I know I'll go back. As we pulled back into the harbour at Ardrossan, past the little look-out lighthouse, I revelled in the sensation of rain and wind in my face and the salty air and the mist and haze and atmospheric drama of it all. It's not so exciting as a pattern really. I wouldn't choose it as a wallpaper. The exciting thing is that photographs can become patterns. And repeat and everything. How amazing is that? Oh, and also that I can create them. Myself. Digitally. And scale them the size of the Empire State Building (or bigger). And what struck me as I reflected on patterns and how much a part of everyday life they are - clothes, interiors, landscaping, city planning, bus routes, colours, nature, etc - was the way that patterns not only repeat in design and 'speak' to us in their visual language, but how patterns repeat themselves in both a visual and non-visual way: families (looks/traits), personal relationships (choosing a particular 'type' of person, whether in looks or in demeanor), generations (generational unemployment), skills, talents, interests ('a passion for photography runs in the family'), and that so many of these - all of them? - are unchosen in that they just occur or are reinforced, or perhaps sidle in surreptitiously? No-one wants to purposefully inherit the 'the lazy gene' or 'the squinty family ears/nose/neck' or the reputation for being unreliable. Nature or nurture, it's still forming a pattern. I found thinking about patterns in this way interesting because it relates to one of the stories - books - I have already started to write. A family biography that spans three generations. A mammoth of a story that needs to be woven with sympathy and skill. A story that I don't feel ready to return to right now, but that is bubbling away in my mind, percolating and taking shape as different pieces of the jigsaw slip into place. Where choices form patterns in huge repeats and those choices have repercussions that ripple across multiple lives and continue to reap their effect. When you start looking, there is very little that isn't a pattern. Even routines that change and morph and lead off on new tangents are patterns (identities?) of a different life, a new start, that quickly form into new patterns. I'm a bit hooked right now and I think I could become obsessed. Happy weekend. Watch out for those patterns. Yesterday I indulged my (amateur) addiction to analogue photography, and went adventuring through the West End of Glasgow with my Olympus OM 1 camera. I'm lucky to have a husband who is an engineer and who leapt right into my love of analogue photography. As well as the Olympus OM 1, he has lovingly reconditioned for me a Leica D.R.P Ernst Leitz Wetzlar circa the 1950's, and a Hasselblad 500 C. I know. I'm very lucky. The beautiful images that can be produced in analogue are far superior to digital photography, but because of their age, provenance and price tag, I've been a bit scared to use any of my analogue cameras. (Scared to drop them!) They're also solid and heavy with lots of dials and settings and you really have to consider and set up each shot. But yesterday I ventured out - we ventured out - to snap some street scenes in Glasgow's West End. It's a place close to my heart having lived in various locations in and around the West End when I first moved to Glasgow at the age of 16. And now I'm photographing my favourite streets with a vintage Olympus OM 1. Introduced in 1973, the OM-1 was the first product in the OM Series. It earned wide acclaim as the world's smallest and lightest 35mm single-lens reflex camera." It was a strange day for weather. One minute sunshine and gently billowing trees, the next torrential downpours with hail and wind so stern it snapped my big man-frame umbrella. But I managed to spot and capture reflections in puddles and bluebells amidst the weeds and experiment with light metering and focus; blurring foregrounds and backgrounds for effect, for fun, and snapping shots between leaves and railings and into the sun as it peeped from behind clouds. I'm using only black and white film because in it, I've met my match for mystery and allure and timeless, enduring appeal in the modulations and marvel of monochrome. I'd love to show you, but of course I can't. Not yet. The shots I've taken are preserved for now, safe inside their hard spool casing, inside my camera. And the film isn't finished quite yet. You'll just have to take my word for it; imagine the shots of light and dark on Glasgow's West End streets with your 'inside eyes', your imagination, and trust my magpie's eye to find the sparkling, the fantastic and the extraordinary in the seemingly ordinary. That bull looks so fierce, doesn't it? Especially with the drama of a black and white shot. A tiny olive branch of colour here; I couldn't resist. The street art was fantastic. I didn't know Ozzy was from Birmingham. Is he really from Birmingham? The library was fascinating. Modern art in itself with a viewing platform so you could look out onto the city. I think it's definitely one of the tourist attractions. I could have spent much longer wandering the aisles of books and the pristine archives. This weekend I'll be staying closer to home. And for an altogether more colourful version of Birmingham and all it had to offer, check out my inspiration site. Last week I finally got a black and white camera film developed. One that had been in my camera for some time. A long-ish time. Long enough for me to have forgotten what images I'd captured. I think it's a great surprise to get a slim jiffy of real photographs back and have no idea what they are of or how they have turned out, don't you? But it's also a bit disappointing when you realise you still haven't got to grips with analogue film and you've wasted quite a bit of time and money. I don't think the film was loaded right and it definitely jammed towards the end and it's not like the flash has been properly deployed. But still. There is something quite mysterious about these not-quite-right fisheye photographs. They're haunting and a bit jagged and blurred. They make me think of The Blair Witch Project and unsolved murders and disappearances on beaches. Clearly I like to take dark, lonely, isolated shots of paths that disappear into nothing; ramshackle and unpopulated and somehow timeless. There is a calmness to these images though; an other-worldly peace that vibrates from them that is lent a voyeuristic edge with the visibility of the lense constraints in all of them (a telltale sign of fisheye photography). Another magpie experiment with interesting and unusual results. Some images of the word LOVE captured in condensation, ethereal and fleeting. It was early on a cold and frosty morning and the sun shone brightly through the letter-gaps I'd created, which were then reflected back to me on the wall. I couldn't have planned for it. It just happened. "Everything feels heart-shaped in Paris." I've been lucky enough to visit Paris three times so far, experiencing completely different sights and sounds and inspirations each time. It was by chance that the last time I was there, my husband and I discovered the Passerelle des Arts, or 'Lover's Bridge', which has been a romantic frivolity for the last few years. The idea is for couples to lock their own personal cadenas d’amour - love padlocks - to the fence, etched with their initials, and throw the keys into the Seine to 'lock their love together forever'. Yes, a bit cheesy, but the kind of thing you do as a tourist in the city of love. So we did. At first I wondered where we were going to get a padlock, but luckily all the tourist shops are well stocked on this front, and from the prices - I saw one at 9 euros - make a nice profit selling to star-crossed lovers. We opted for a heart-shaped red version with 'Paris' in white lettering (tres chic!). There was no ritual of throwing the keys into the Seine while locked in a passionate embrace however, as it was a combination lock. I've got the photographs so that's enough. I'm also glad we didn't contaminate the Seine any further, but also feel a bit bad that we contributed to a part of the bridge collapsing last year. Not romantic. And now the padlocks have probably all been moved. C'est la vie. I was fascinated by the variety of padlocks on display though and took a load of photos. It was like a mini art installation that everyone could participate in. Some people had gone to a lot of trouble writing their names and love messages in permanent marker or nail varnish or Tippex, and a few even had proper engravings on. Yes. I know. Engravings - pre-meditated romance! The trend has sprung up in other cities now too. We spotted a similar padlocked bridge in Helsinki last year. Everything view, every sight or sound in Paris is a cliché, but it doesn't matter. In the cemetery at Montparnasse, initials and a heart were etched into this tree, just metres from the graves of Simone de Beauvoir and Jean-Paul Sartre. I don't go to Edinburgh very often, but that's where I am today. I love this image of the city centre, looking over the bridge at Waverley station. I 'shot' it using my plastic Diana Lomography camera. It shows transposed mists in a blurry double-exposure which feels beautiful and poetic, despite being accidental. Isn't it great when you have no idea what you're doing, and it works out to be quite artful, anyway? I couldn't resist heading out with my camera this afternoon as the sun sank low in the sky, creating that beautiful orange glow that you only seem to get on cold autumn afternoons. I loved the interplay of light and colour and the silhouette of the barren tree branches and few last leaves, against the light. The colour was so rich as the mist began to descend and layer itself along the horizon of hills and houses. It reminded me of a painting I studied in Art at school - Joseph Farquarson's 'Afterglow'. I've always been drawn to images of snow and woodlands, and Afterglow depicts a snowy woodland scene with the sun just setting, casting its orange fire far and wide. The only thing missing here is the snow, but I'm sure it's not too far away. Here's to the weekend and to sunsets and memories and Afterglow. I love the vibrancy of colour and the impact it has in everyday life, and in the world. It is a pleasure and a warning, a way to differentiate from others, as well as a way to blend in. But I'm also very much drawn to the brilliance of monochrome. Black and white. It's the filmic quality, the vintage connotations of a 'bygone' era, and the sense that black and white (and all the shades of grey in between) is so ultimately enduring; unfazed by the passing fashion and fad of the colour du jour. So today I'm celebrating the beauty of black and white and sharing some monochromatic images of random finds that I love. This is an image I shot on my phone, in Berlin, a few years ago. I applied a fish-eye filter to it and love the distortion of the VW Beetle and the framing of the trees beyond the road. It was a beautiful sunny day in February, and I had just turned 30 years old. This vintage cash register was for sale in an old church in the north of Scotland. It is a known antique place and there were some amazing pre-loved items to be had. Furniture and record players and clothes and fire surrounds and books. I couldn't resist taking this shot of the cash register. I would have loved to buy it but really it deserves to be on display somewhere wonderful. I made this necklace and it is currently for sale in my Folksy shop. It is black lace on silver lame with little pearls and a vintage button. It would be so chic as a Christmas accessory, or gift. I saw this etched into the pavement in Glasgow's West End, years ago (though it's probably still there). I had to take a photo of it as my Mum's name is Yvonne. I filed it in my 'randoms' image folder and rediscovered it today. I love this kind of unofficial street art/graffiti. Although it's not meant to be there, it injects personality into the 'concrete jungle' of the streets and shouts out to anyone called Yvonne. How nice. I can't remember now if I took this image with my phone or my camera, but it is a street in Prague. I went there on my first wedding anniversary. I love the term 'Belle Epoque' or 'beautiful time' as I studied that period in Paris for my final year dissertation at university (I was analysing the first 'advertisements' in print; posters etc, many of which were created by Henri de Toulouse-Lautrec). I was obsessed with the artists and writers and designers of that time and the idea of everything being so beautiful, joyous and carefree; the collective creativity of people coming together to create the art and books we know and love and rejoice now. Those artists may never have made money from their art at the time, but I can imagine the fervent atmosphere of living life everyday and immersing in the creative melting pot. That to me is worth so much more (than money). Perhaps it is a personal naivety to think that it really was so 'beautiful' and carefree, but who can argue with a term like 'belle epoque'? This image is of a vintage record player that my husband restored for me. This particular one is also wired up to play my iPod. I love the nostalgia of vinyl because it reminds me of growing up and has connotations of 'the swinging sixties' which I always imagine in black and white. Black taxis and Big Ben in the background and models wearing Biba with bright white faces and fabulously patterned dresses. There is so much more I could say about black and white. About the associations of black and how it is a subtractive colour, dark, evil, noir, gothic and final, while white is an additive colour, pure, light fresh and angelic. Yin and yang. Monochrome is the epitome of classic chic. Long live black and white and monochrome and the Belle Epoque!